Back in March I shared my Sweet Little Girl’s Bedroom with you. 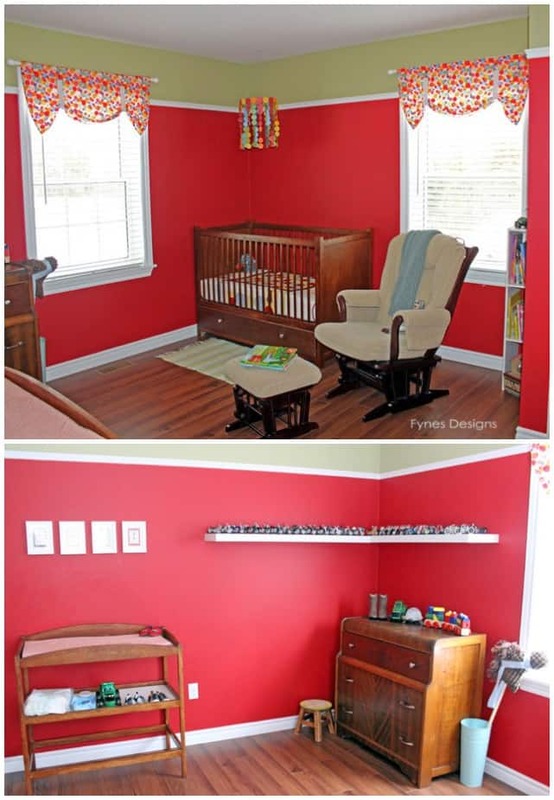 I had planned to back it up with my boys bedroom, but here it is June and I am finally just getting around to it! 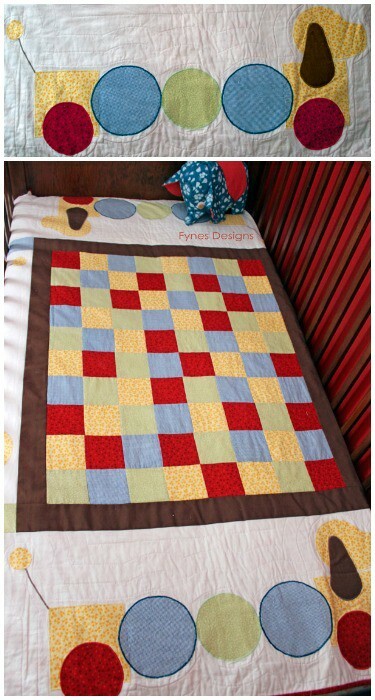 I made the little slinky dog quilt when I was pregnant with baby #1, just held it over, waiting for the day we got a little boy! 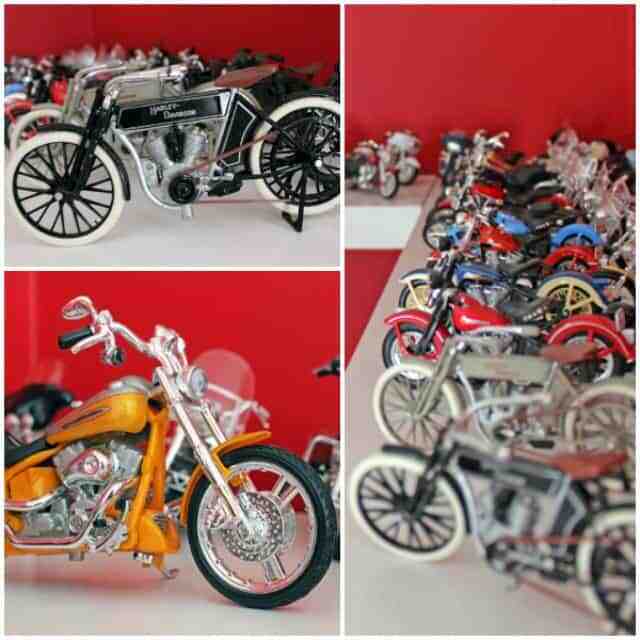 The motorbike collection is my hubby’s. I think there is a Harley for every year they’ve been made! The oldest even has a little rubber band for the chain, how cute eh? Only a few seconds to create this wall decor piece. 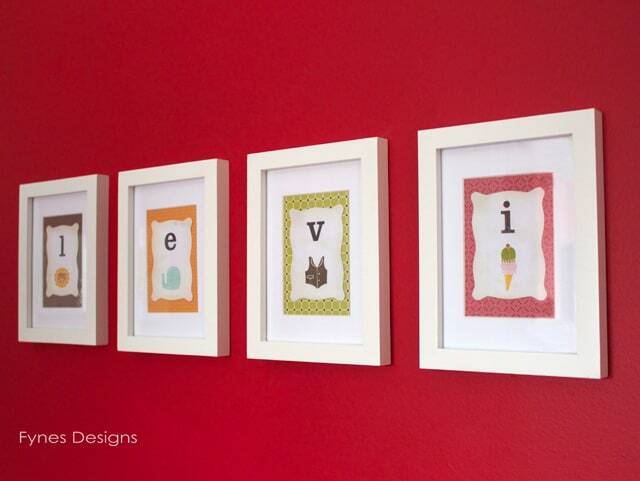 I used pattern paper and a deck of alphabet flash cards, $2 frames from Walmart. 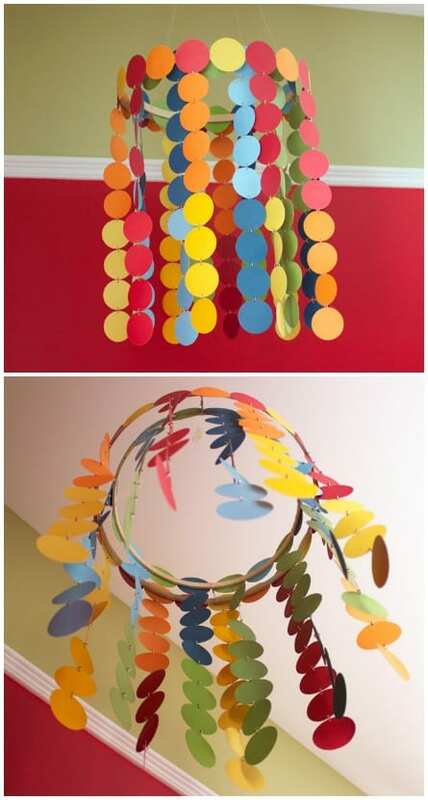 I created the colourful mobile with cardstock, jump-rings and quilting hoops. Under $5 to make! This piece of decor has a tiny bit of history. This is my dads gown from 1933, the cotton is so soft. 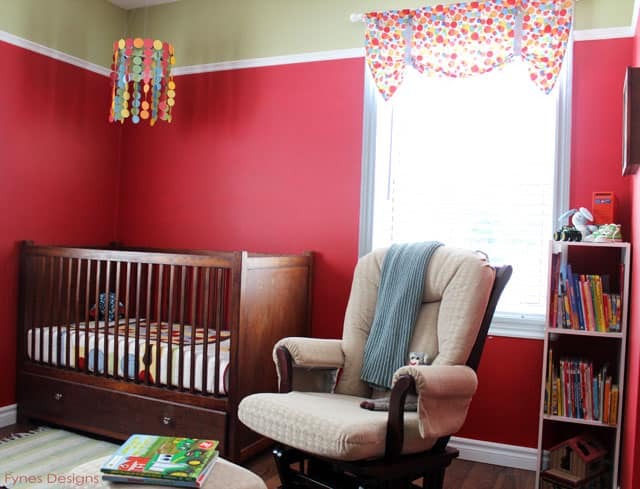 Would you believe it if I told you this crib was built in the 1950’s?? All off my brothers and sisters called this their resting ground, and lot of my nieces and nephews too. It was a honey color, but I re-finished it to match the antique store dresser. 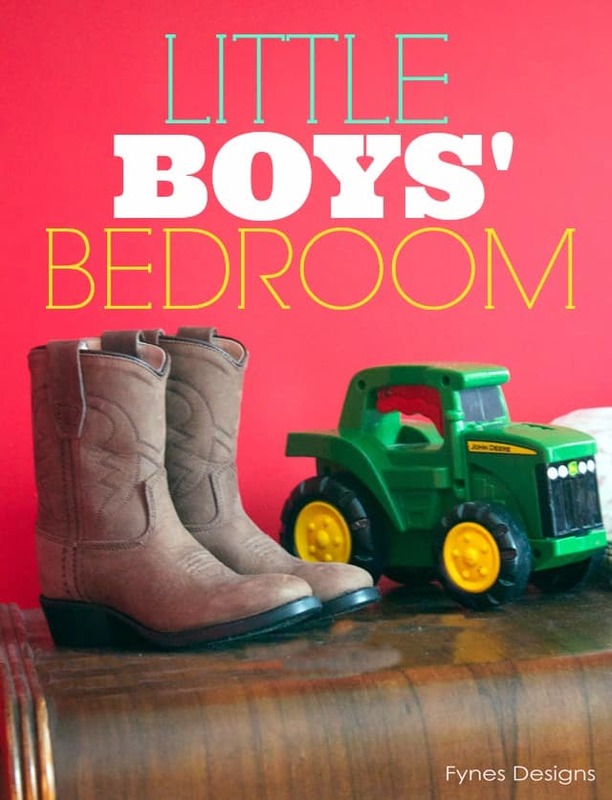 I hope you like the little touches of my boys bedroom. Sadly 2 years has passed so quickly, it will soon be time for a big boy bed (tear)! Love all of it – you can feel the warmth and love that have gone into every detail! 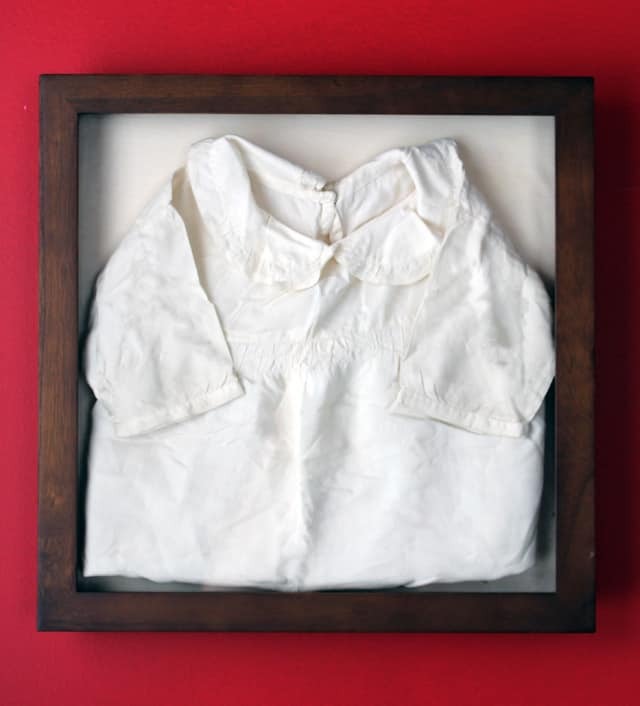 All of the items are such dear pieces of family history! I’m sure your boy will appreciate it one day. Your dad’s little gown in the frame is so precious 😉 You did a fabulous job on the crib. It really is true – keep it long enough and it will come back in style – no let-down siding and has the now-a-day bottom drawer. Love it! I really love the crib, the only bad thing is the new mattresses are about 1/2″ bigger so it is a VERY sung fit. I followed you over from the Nifty Thrifty link party. I would love if you stopped by my blog too! WOW! I LOVE how it turned out!!! Thanks for sharing at The DIY Dreamer.